I completed ‘Gateway to Cruise Line and Ferry Industry’ at NMCI, Ringaskiddy, Co Cork. With top class facilities and exceptional, knowledgeable and experienced instructors, this course was a major success. I have learned invaluable skills, awareness and knowledge which I will use when working on-board cruise liners. 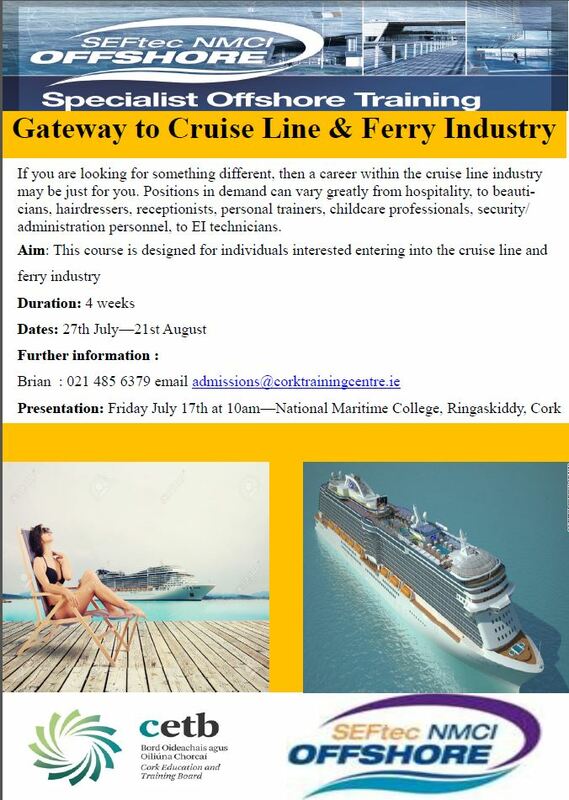 Having a past employee of a major cruise liner be part of this programme, it transforms the course to be more real. I could vividly imagine exactly what it would be like to work and live on-board. I always had an interest in knowing; what it would be like to work on-board a cruise liner or ferry? 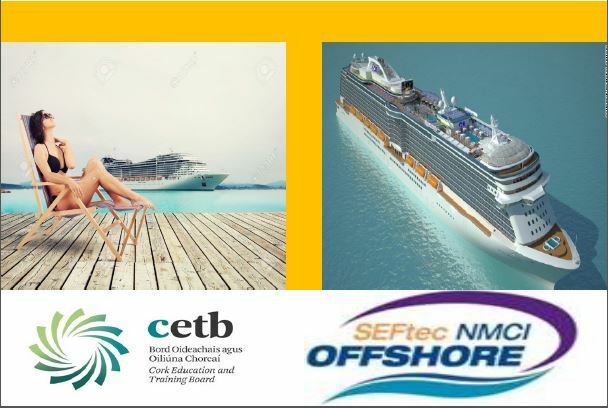 Not alone does the course answer my question; it has also given me the training, knowledge and confidence needed to seek out work on-board a cruise liner. I would like to thank NMCI, CETB and all instructors for their time and dedication in making this course a reality and a major success.